This is the question a very despondent client asked me a few weeks ago and the simple answer is yes. Anyone who is not emptying their bowels at a minimum of every 36 hours has sluggish bowels. Ideally you empty every 18-24 hours. A simple transit test is to eat some corn kernels(without chewing them) and see how long they take to appear in your toilet bowl will give you an indication of the speed of your digestive system. Indeed it is not the most glamorous of subjects but we all have to do it. Go and talk to your nutritionist, therapist, dietitian, doctor or local healthfood store. There are always ways to help you through it and nothing to be afraid of in mentioning it. After all, what goes in must come out! Be aware of the colour, consistency and shape of your stools. If you notice blood in your stools go to your doctor for a check up. It is probably nothing serious but better safe than sorry. 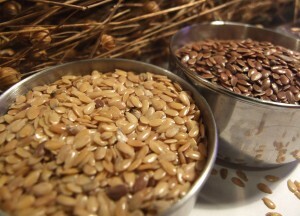 A simple exercise to help you ‘get moving’ is to soak a dessertspoon of linseeds in water for 12 hours. It will turn into a gloopy jelly that you either knock back or mix with juice, water or your porridge. Magnesium, found in plant chlorophyll is an friend of your colon wall to make them relax and promote peristalysis. Juice some greens and add the linseeds to it even better. There are lots of other gut friendly aids so don’t despair and be reassured in the knowledge that behind the bathroom door others are thinking exactly the same as you. 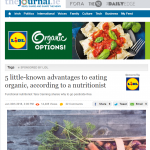 Nutritionist Galway – Snack time! Snack time can really test your resolve.Enjoy my simple to make nutritious Spirulina Fruit and Nut Bar Recipe. So quick and easy, a real treat for all the family. This snack bar keeps you fuller longer and is much cheaper than store bought high fibre healthy bars. In clinic I find that client’s are really finding it hard to find healthy snacks to eat on the go, in the car and in the evening. I like to make a traybake size, divide it into 12 and eat one(has to be done!). Keep a few in a sealed container and freeze the rest. Pop one into your bag when heading out in the morning to eat mid morning or afternoon. I also recommend chocolate chips, goji berries, chopped dates, even grated apple works to change it up a bit. We all get fed up if there is no variety so try out your own flavours.